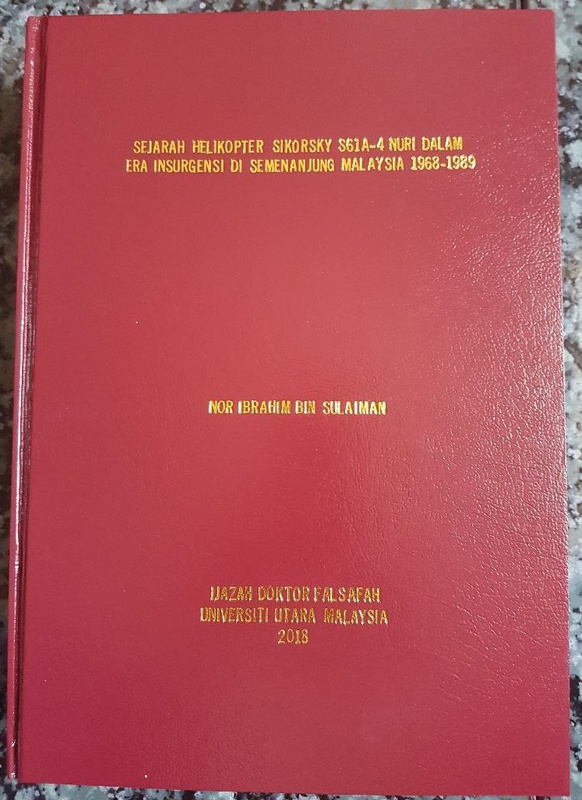 During my school days in Taiping, I was a 'filmaniac'. I didn't mind studying 'General Science' just to pass the weekly test by our 'Sir' aka 'Abang Kartun'. This was simply to avoid from attending the 'detention class' on Saturday morning should I failed the test. Reason? I didn't want to miss my weekly 'cheap matinee' with my classmates. 3rd class ticket then cost only 25 cents at Carlston cinema whilst Odeon or Majestic 40 cents. Once the movie started, we moved to whichever empty seats in first class....He...He....He. However, my interest in movies slowly diminished once I joined RMC. Even now, I find it quite boring to watch movies shown on TV except the James Bond series. I don't know whether I can classify myself as a James Bond fanatic or not. One thing for sure, I've seen all this indestructible hero's movies. And most of the time at the theaters. Reasons? The sound system is simply awesome. My last trip to a cineplex in KL was at the Mall, Cheras, before moving to this ulu Jitraq in 2000 AD to watch my hero. 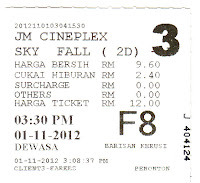 My first visit to a cineplex in Kedah was on 1 Nov 2012 to enjoy 'Skyfall'. It seems there are 2 categories of seats - RM12 & RM10. When asked why the different prices, the ticket seller told me that the view of the screen from the RM12 seats were 'better' compared to the cheaper seats. Well, of course I chose the expensive one. After all, what's that extra RM2 to see my favorite Commander Bond. When I entered the hall, I couldn't see any difference at all....Rugi RM2!!! On a serious note. Well...Well...Well...I'm not alone about this greatest agent of MI6 of British Secret Service. 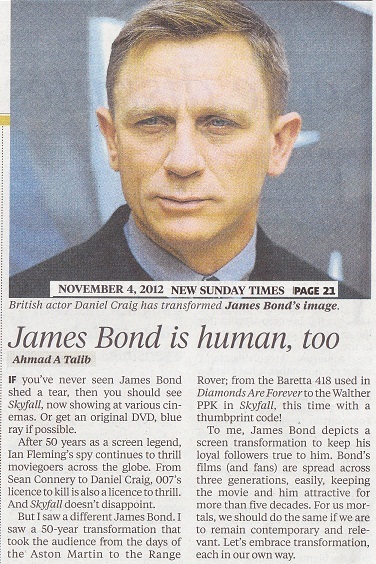 I was surprised when Dato' Ahmad A. Talib of NST wrote about this 007 agent in his weekly column in the New Sunday Times. He was commenting on the human side of this super agent. Bond cried when his boss, M, died. Before this, he never shed a tear when someone close to him died, even his lovers. 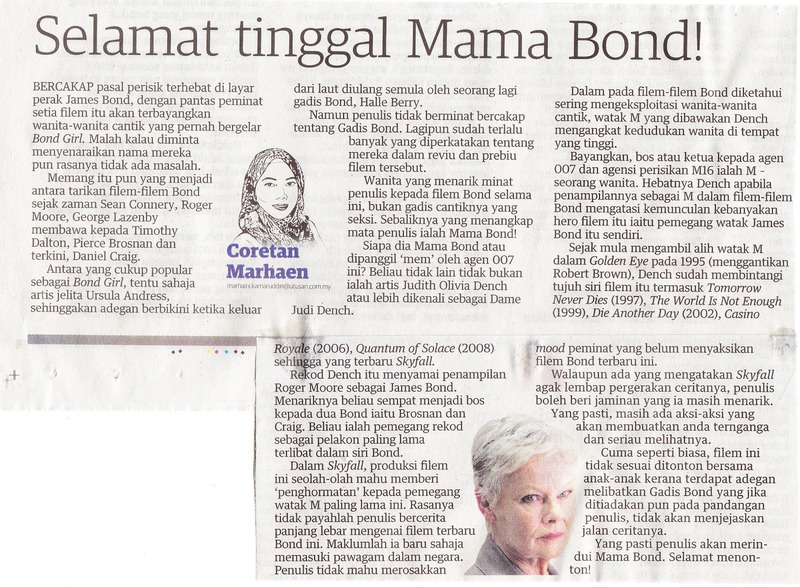 To Dato', James Bond is human, too. 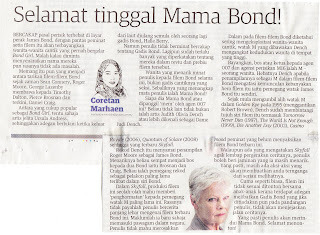 Another surprise when this article appeared in the Mingguan Malaysia, 4 Nov, on the same subject matter. The 'she-reporter' was looking at a different angle. She took pride that Bond's boss was a lady. He maybe indestructible & superhuman or whatever you want describe him, but the person who remote-controlled him was a 'she'! Anyway, I don't think there's going to a new 'Mama Bond' in the next series. My angle? The British wants the whole world to know their spirit of PATRIOTISM! Imagine, Bond was willing to report for duty whilst enjoying his 'demise' after being shot by an MI6 sharpshooter and drowned in the fast moving river and waterfalls....yet survived to enjoy the company of a lovely damsel in a faraway land (Turkey). Reason? Because he saw the news on TV that MI6 HQ was bombed and the blast killed a few innocent staff by a traitor, an ex-agent who claimed that he was betrayed by M. When Bond was apprehended by the rogue and offered to join him, he (Bond) declined simply because whatever being offered could not match his undivided loyalty to his beloved country...England! Well....If this is not patriotism...then what? One aspect of Bond's film is the fantastic and unbelievable gadgets. In this film, however, the weapons used when he brought M to his home, Skyfall, in Scotland, in his attempt to entrap the renegade agent were the very basic...mere shotguns and a knife. He killed the betrayer by throwing the humble knife at the back of the villain However sophisticated one could be....back to the basics could change the ground rules!